We live in a generation where we are constantly being bombarded with new terminologies and trends in the beauty industry. In recent years, we have seen the rise in popularity of sulphate-free shampoos. I am sure you secretly ask yourself what exactly are sulphates. Sulphates are surfactants used in shampoos. They generally come in the form of sodium laureth sulphates or sodium lauryl sulphate (SLS). Sodium Laureth/Lauryl Sulphate is a detergent that is used to remove oils and dirt from your hair. Moisture is the key to maintaining healthy hair. Moisture is essential to prevent hair breakage and split ends. Sulphate containing shampoos strip hair of moisture and natural oils, resulting in dull, dry and brittle hair. On the other hand, sulphate-free shampoos help hair to retain moisture. Hair follicles produce natural oils. These natural oils are essential for keeping hair healthy and moisturised. However, sulphate-containing shampoos often strip hair follicles of these natural oils. This results in dry and brittle hair. 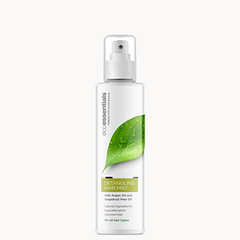 On the other hand, sulphate-free shampoos gently cleanse hair without stripping hair of its natural oils. Sulphates are harsh detergents that not only strip hair of moisture and natural oil, but also cause the scalp to become dry and irritated. A dry, irritated scalp can lead to inflammation, which is quite painful and uncomfortable. This is why is important to rather opt for sulphate-free shampoos. Colouring and dyeing hair is a common practice amongst both man and women. Colour longevity depends on the daily hair care regimen. Sulphate-containing shampoos strip the dye pigment from coloured hair. If you want your hair colour to last longer, opt for sulphate-free shampoos. Sulphate-free shampoos are not drying or stripping by nature. 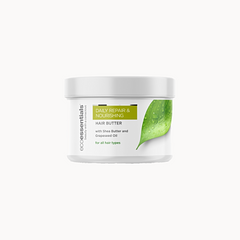 They help the scalp retain natural oils and moisture, making it suitable for people with a sensitive scalp.